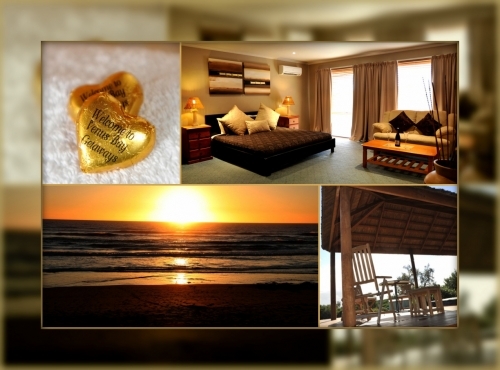 Venus Bay Getaways is a boutique "hotel-style" guesthouse and Day Spa in a remarkable location, only 300 metres from the beach and it is perfect for a break away to relax and re-connect with your loved one or to give yourself time to breathe. 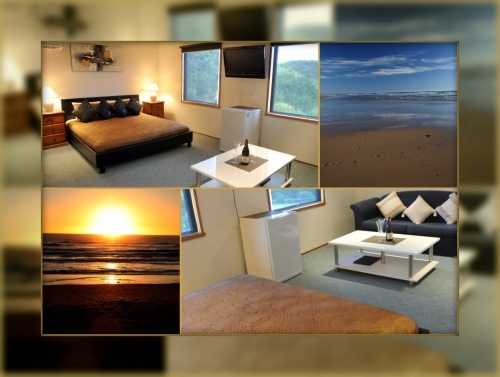 However, we live in a busy world and not everyone has time to take a weekend out - however well earned - to de-stress and decompress.......but the magic of Venus Bay Getaways is still within your reach. Arrive to the sound of crashing waves only a stroll away, enjoy the welcoming scent of aromatherapy and the soothing sounds of music..........and you will know that you have found the perfect place to rekindle romance and renew your connection. Choose from one of four upstairs suites that evoke the romance of Africa, Bali, the Orient and the Ocean, each with private ensuites and luxury appointments that will make it hard to leave, including fluffy robes, flat screen TV, DVD movies and wireless internet. Venture out of your suite and make the most of the in-house Day Spa, Infrared Sauna, Hydrotherapy Spa, guest lounge and licensed bar. Venture out of the guesthouse and you will be rewarded with glorious coastal scenery, wonderful opportunities for fishing, surfing and windsurfing, abundant bird life, the beauty of the Point Smythe Nature trail and much more. 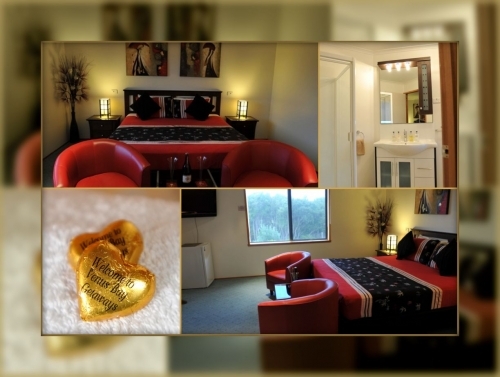 Then return to the peace, tranquillity and romance of Venus Bay Getaways and continue to indulge in the gift of time together.